and an icon around the world. The Starplayer TV is a semi hollow, dual pickup, 22 fret electric guitar, featuring arched top and back, bent sides and a 647mm scale. For the Mike Campbell Edition we have added some unique details, which are only featured on this model. Very few guitar players have created a following and the respect among their fans and peers as much as Mike Campbell of Tom Petty & The Heartbreakers. Mikes incomparable playing style and songwriting over the years has left its mark in Rock & Roll history and Duesenberg has the privilege of being a part of it. 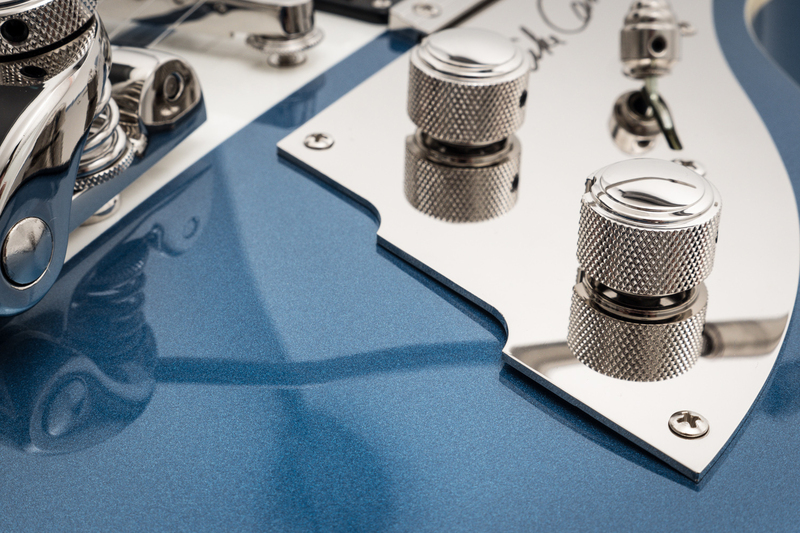 The Starplayer TV Mike Campbell Edition is covered in an all-over blue metallic finish with the two iconic racing stripes and cream binding around the body and neck. For the cutting leads and heavy riffs, we took our own classicly wound GrandVintage Humbucker and paired it with our open Domino P90 Singlecoil for airy chords and creamy licks. 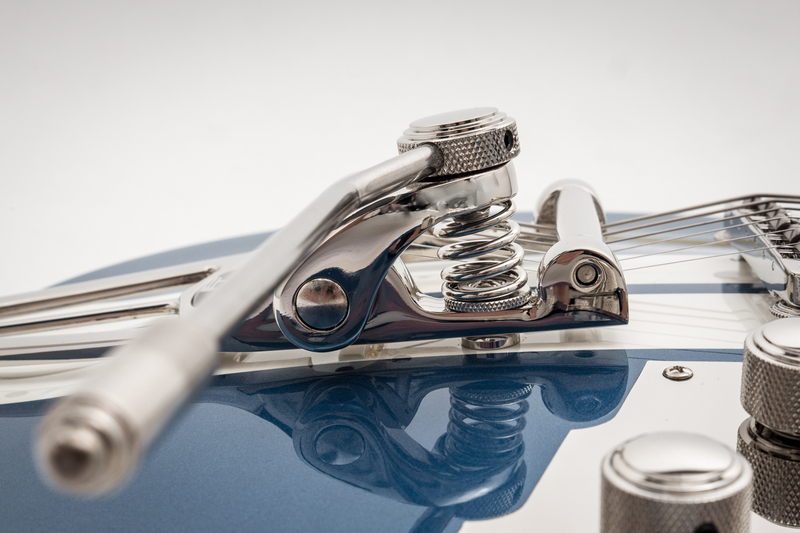 All instruments are fitted with our own hardware, which you will only find on a Duesenberg. 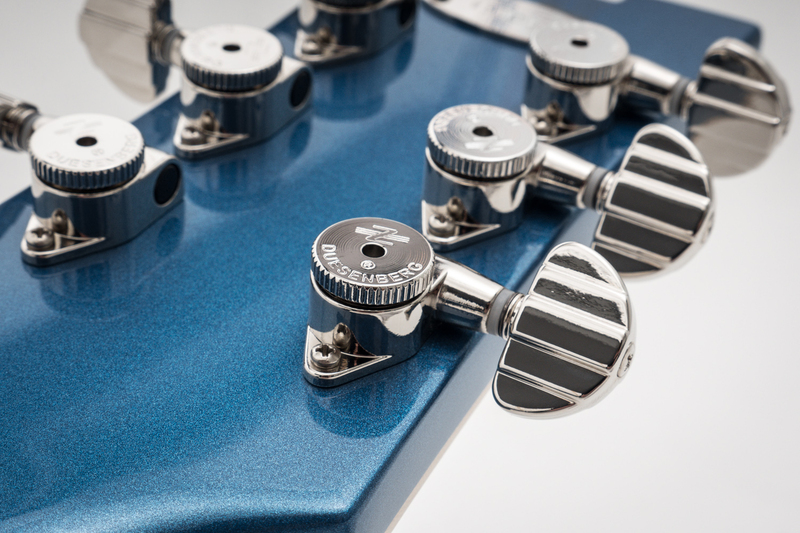 We design it with attention to even the smallest details to create truly unique instruments from tuner buttons to jack plates. The Mike Campbell also features a stunning nickel plated pickguard with Mike's personal signature and the 30th Anniversary Heartbreakers logo. 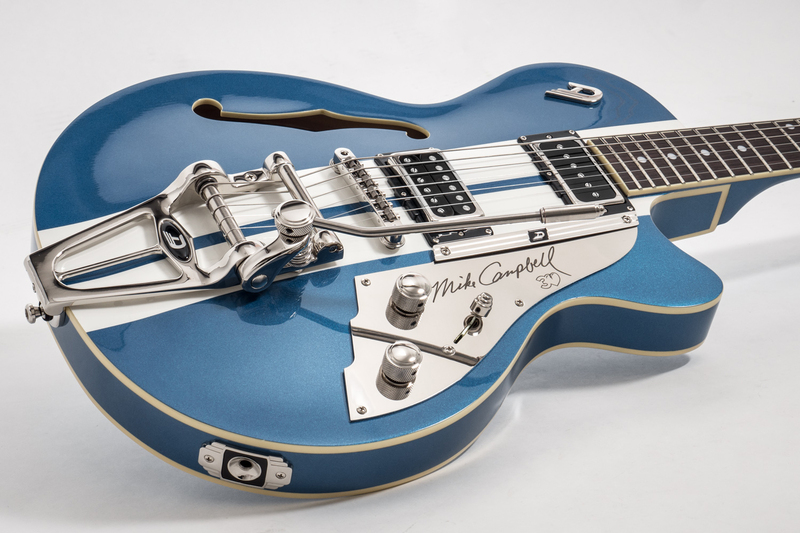 The Starplayer TV Mike Campbell is one of our most desired instruments and has become an icon around the world. Having the Multi-Bender on my Duesenberg opens the door to so many great sounds and tunings.